Paper Back : 376 Pages. Size 26 x 19 cm. Contents : 2006 to 2018 June and November Past year Exam Papers. Paper 1 & Paper 2 with full worked solutions. Special Feature : Detailed Syllabus, Thinking Process, Teacher’s comments. 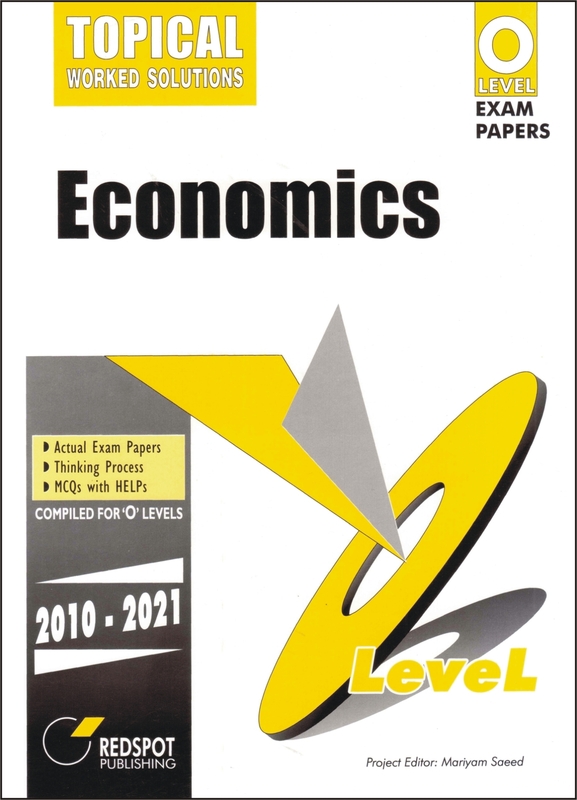 About this book : This book contains O Level Economics examination papers from 2006 to 2018, Paper 1 and Paper 2 with full worked solutions. The questions, are arranged in Topical format for easy revision and practice. Most Answers are equipped with Teacher Comments. These comments give the extra but relevant information that is not required as part of the solution but is extremely useful. Questions from past examinations have always proved to be the best practice for students. Students are able to apply what they have learnt. This book is also a very useful study guide for students as they can practice the questions, and then check their answers . This book is highly recommended for the students who are preparing for the O Level Economics examination.